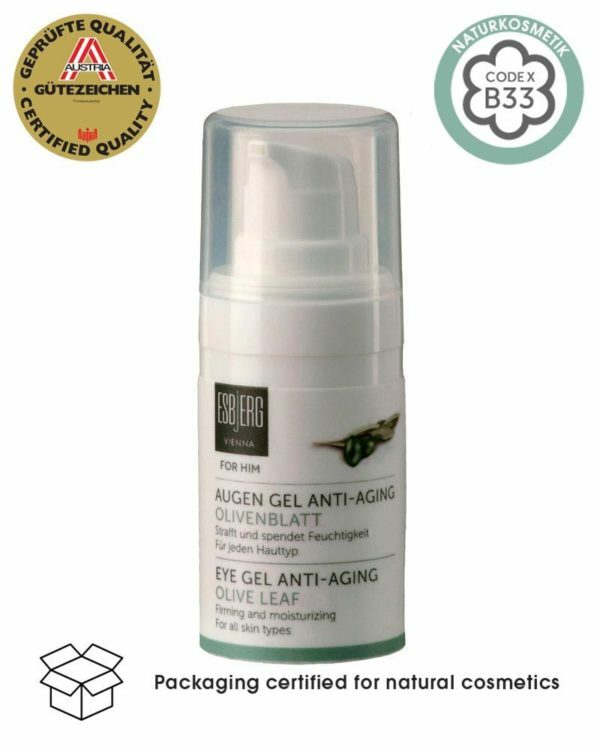 The eye gel has all the qualities a man expects from an effective eye care product. 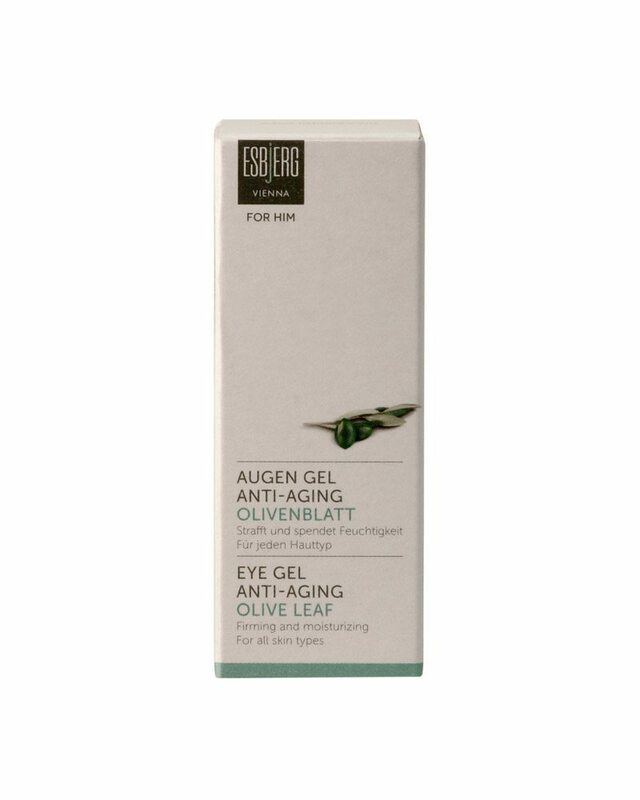 Olive leaf eye gel is immediately absorbed, and effectively reduces dark circles around the eyes as well as lines. Olive leaf extract has an especially high antioxidative effect. Especially oleuropein, which is contained in the olive leaf, surpasses all other values measured in nature. 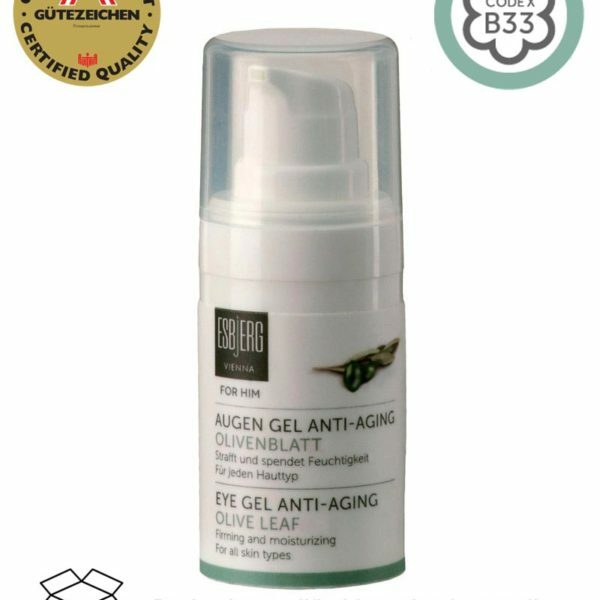 The gel smoothes the entire eye area, revitalizes tired eyes and provides the skin with a well-kept, even complexion. Oleuropein – a powerful antioxidant – is one of the most important substances of the olive tree. It is an important part of the fruit and thus the olive oil. However, this bitter substance is found in large amounts in the olive leaf. In cosmetics, olive leaf extract guards against premature, light-related akin aging and the skin is also protected against irritations. Even in the world of natural cosmetics can refine things. The Esbjerg-cosmetic preparations were sonicated during the production of classical music by Wolfgang Amadeus Mozart. In addition came for the manufacture of preparations energized water from the Schauberger funnel used. The olive leaves of the olive tree contain large amounts of the olive tree contain large amounts of oleuropein. In the human body, the bitter substance, acting as an antioxidant, neutralizes skin-damaging external effects caused by free radicals and thus prevents premature, sun-induced skin aging. The advantage of biosaccharide gum lies in its excellent ability to bind large quantities of water and to thus significantly increase the moisture level of the skin within a short period of time. Gently pat a pearl-sized amount around the eye area in the morning and evening and allow it to be absorbed into the skin.